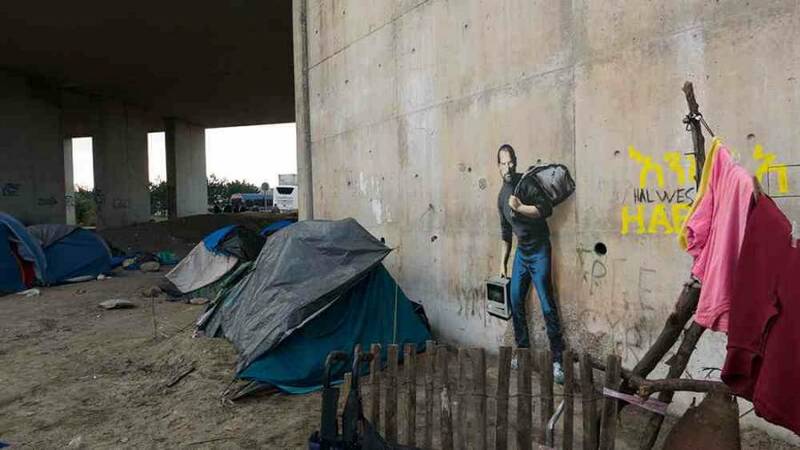 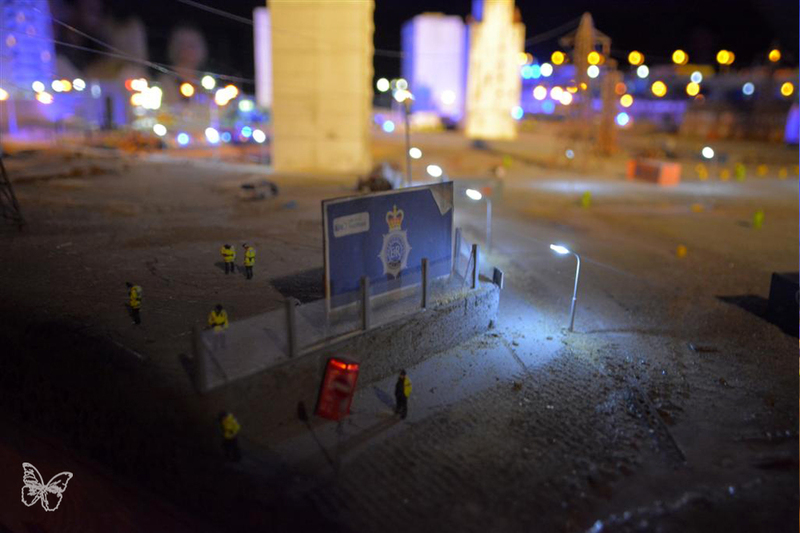 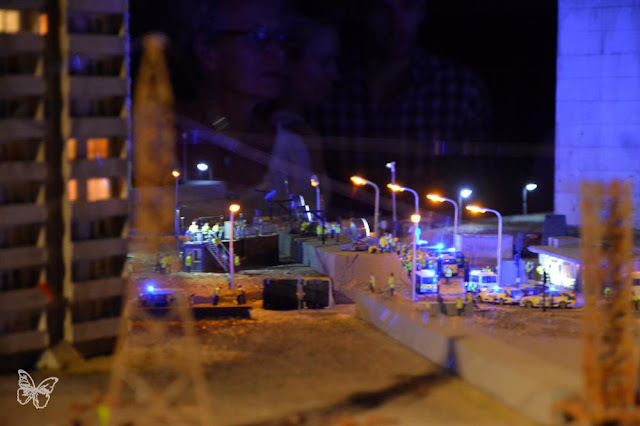 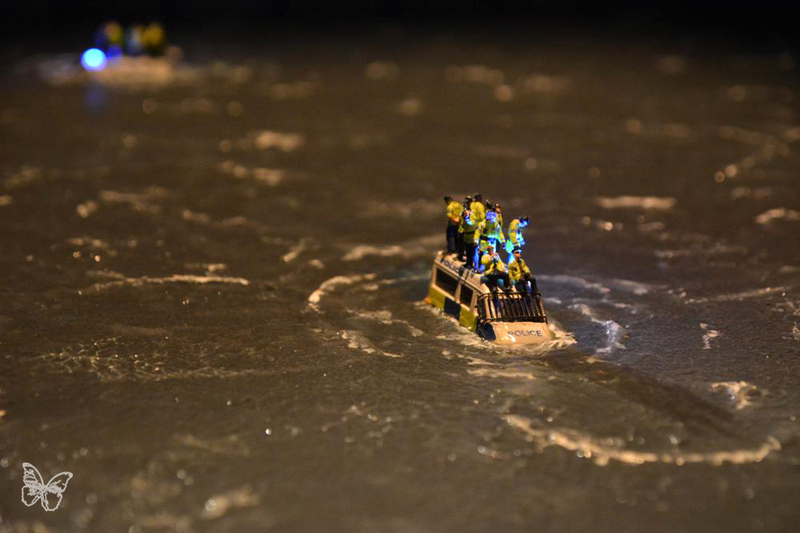 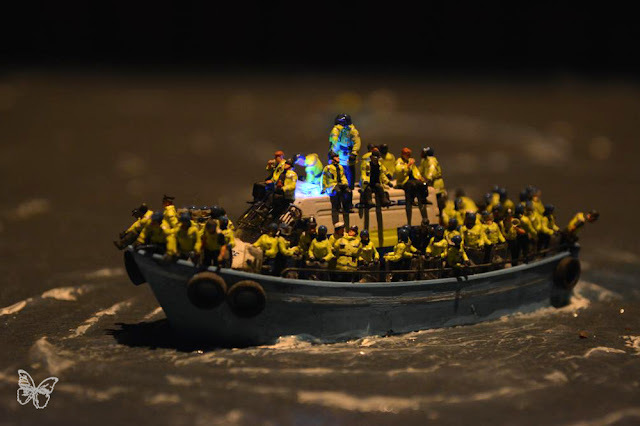 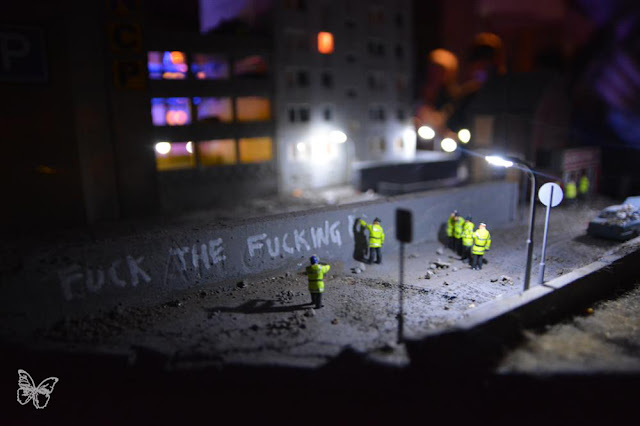 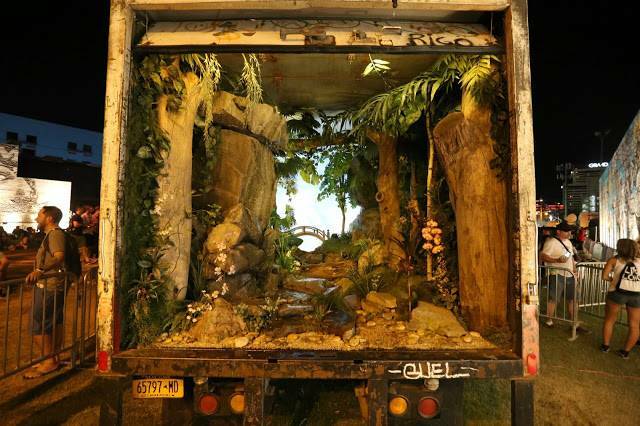 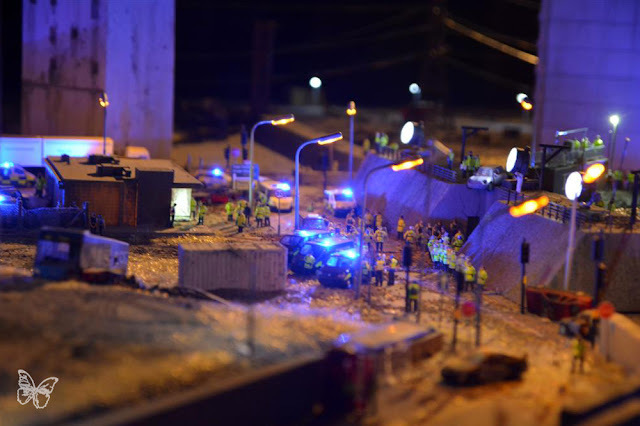 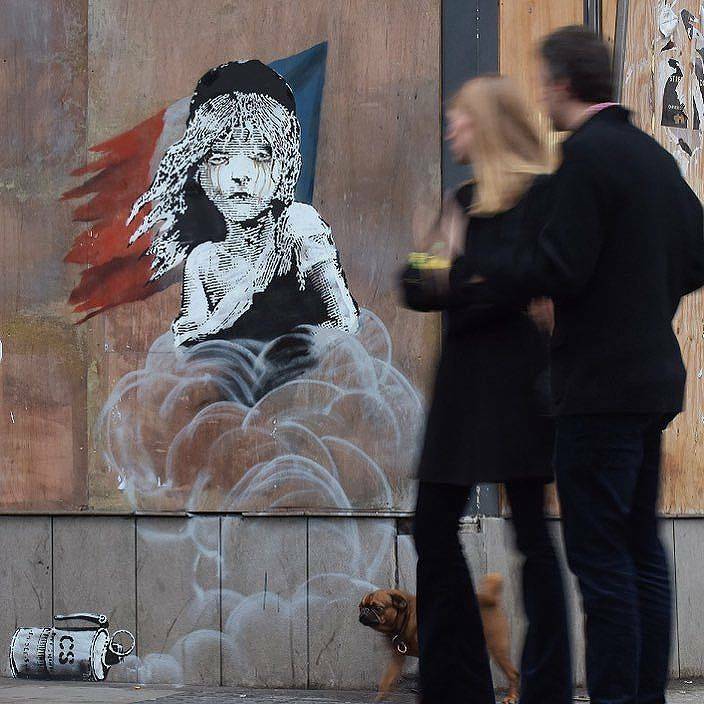 Within Banksy’s Dismaland Bemusemark is a large scale model installation by British artist James Cauty entitled ‘the aftermath dislocation principle part I’ featuring a miniature post-apocalyptic world, burned, looted and devoid of all human life apart from a swell of police make up. 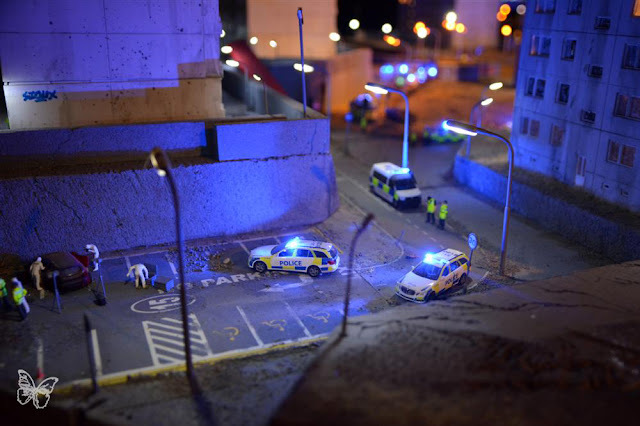 The construction is a vast 1:87 scale model detailing the desolate, charred aftermath of what appears to have been a crazed riot in London. The only visible people are the 5,000 or so policemen at the scene armed with vans and weapons ready to control and quell. 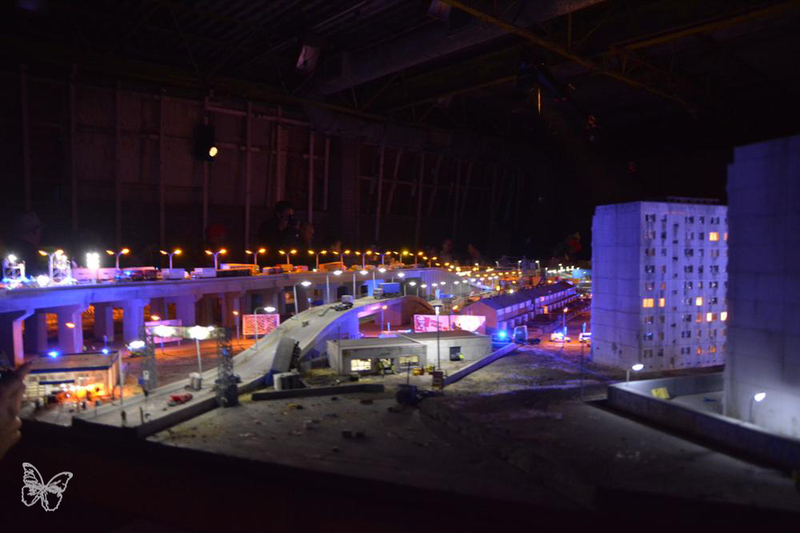 The whole scene is set into motion for the show as ambulance and street lights strobe in the darkness. 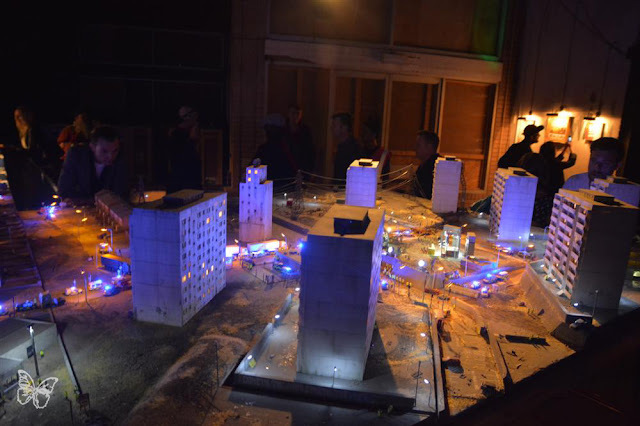 Continue reading for some more pictures.